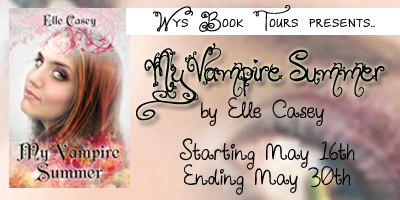 I'm excited to share My Vampire Summer by Elle Casey, the first novella in a 4 part series, with all of you! I was definitely intrigued by the premise (I mean, come on, who wouldn't be? ), and I figured it was short, so even if I didn't like it, I didn't waste my time. But after finishing the novella, yes it was short, but it was also fun, flirty, and a great read! All the qualities you need in a summer book! The characters are what really drew me in. The friendship between Iona (love the name) and Cheri was awesome, and so authentic. I could hear their conversations in my head sounding exactly like me and my friends in high school. The dynamics are perfect, a great mix of snarky and sweet topped with a whole lot of love! Great best friends are one in a million, and this relationship made the story that much more fun. The writing was really spot on as well. Like I mentioned, I could hear the conversations in my head, and no matter if the scene dealt with the normal or paranormal, I felt it was real. The descriptions were great; being that the author lives in France gave the atmosphere that needed, dare I say, je nais se quoi. There were many modern references, such as the Kindle you read about in the description, but that didn't feel out of place. Everything just flowed really well together in a way that kept me engaged. Overall, I think My Vampire Summer is a great summer quick read, and I can't wait to read the next three novellas that go along with the rest of the seasons. In fact, I liked it enough to want to give you all a chance to read it. Check down below for the giveaway details! 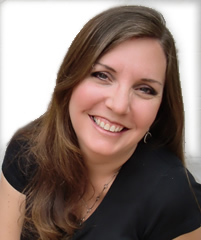 Elle Casey is an American author living in southern France with her husband and three children. 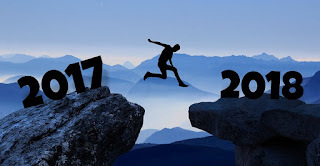 She writes in a variety of genre including Young Adult Action/Adventure, Young Adult Fantasy, Adult Thriller, and Adult Contemporary Romance. Check out the rest of her books on Amazon! 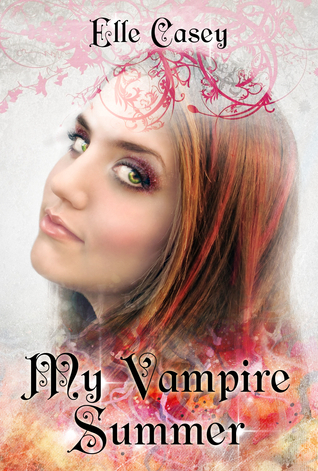 This is a giveaway for 2 ebooks of My Vampire Summer. Note, the ebook is Kindle format.